UDN is a General Contracting & Construction Services company based in Rochester, NY. Founded in 2012, our firm has over 20 years of combined experience in commercial and residential construction. Our team is highly organized due to processes that were developed by the company owners after the successful completion of numerous government construction projects. The organizational tools derived from this experience allow UDN to provide superior service and management. 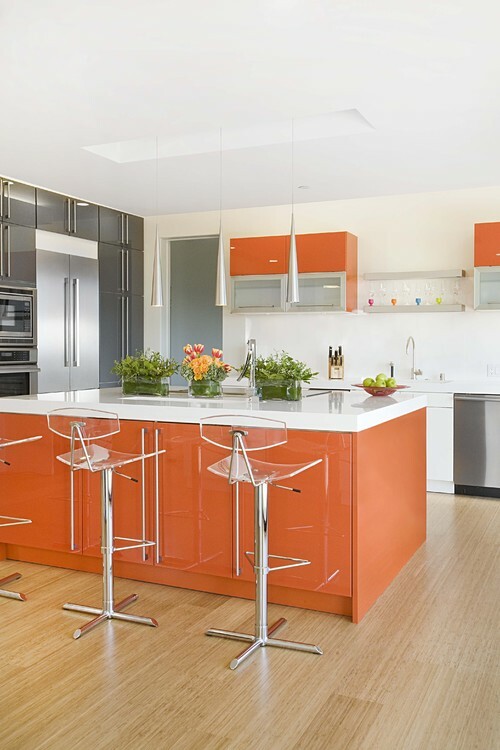 Planning a kitchen remodel includes finding your style, searching for a professional and determining the scope of work and your budget. This ideabook focuses on that last element. Scope of work is the term used to describe the basic parameters of a project. 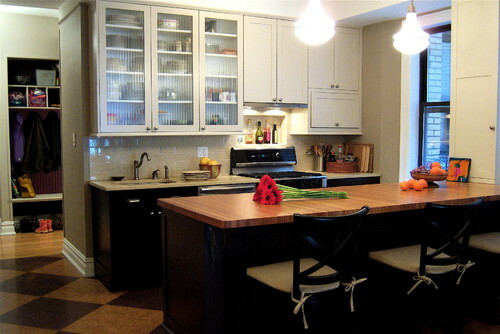 Are you planning an addition or do you want to move the kitchen entirely, for example? Will you need new electrical, plumbing and flooring in the process? Start with your wish list and budget, then decide the scope of work. A designer, architect or contractor you like and trust can help you develop your scope of work and be realistic about what your budget can achieve. Keep in mind there's usually not one right answer, so getting a few opinions is a good idea. 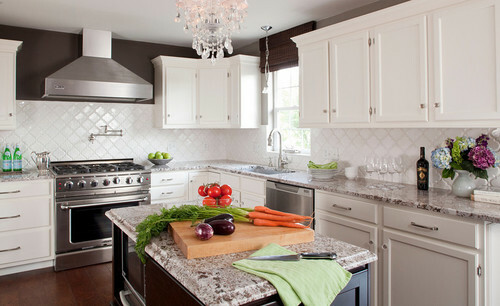 Are you remodeling your kitchen within the existing footprint? Do you want to relocate the sink or range, which would mean moving the plumbing or gas lines? Are you planning on opening up to another room and you aren't sure if you have a load-bearing wall? This might require structural work and unforeseen costs. With new construction, you might have already heard prices referred to as the cost per square foot, but this formula rarely works with remodeling. Every home has unique conditions due to age, construction type (masonry versus frame, for example) and layout. Detailed pricing information up front will help you meet your budget. Where to start? Here are a few suggestions. 1. Come up with a rough budget of what you want to spend on the overall project. Consider if it will involve related projects like new windows or painting the whole house. 2. Come up with a wish list of everything you want. That means new appliances, cabinets, countertops, tile, flooring, lighting and so on. The more detailed you are, the better off you'll be when talking to professionals. Do you want professional-grade appliances or is the next level down OK? If you have a $30,000 budget and you want a built-in refrigerator and a 36-inch professional-grade range, any professional will tell you that your budget is going to be tough to meet. 3. Pull tear sheets and create ideabooks of your vision. This can help a professional get an idea of the level of expectation and finish detail required in your project. It's tough to communicate needs clearly, especially about visual things like finishes. Showing professionals photos of kitchen designs you like can help them see your taste level and prompt them to ask the right questions. 4. Get referrals for designers, architects and contractors. Ask friends and relatives for referrals and look at professional portfolios on Houzz to see if their aesthetic matches your own. Call pros to set up phone interviews and see if they'll come meet you in person. Ask if you can visit some of their job sites or other projects. This really helps you see the quality of their work. 5. Check references and ask about fees. Some homeowners start by hiring a contractor, and others start with a designer or architect and use contractors referred by him or her. Others hire design-build firms that do it all. Remember, you aren't comparing apples to apples here, so it will take some time to figure out who is the right fit. 6. Meet the pros at your home and start seeing who you like, who asks the right questions, who is willing to give you some rough numbers, and what he or she needs to do so. Some firms don't work this way; they might have showrooms and you have to meet them on their turf. Many contractors want a full drawing set before they'll bid on a job. Others will be willing to do a walk-through and give you some rough numbers, nothing line-itemed or detailed. I recommend doing this with an experienced contractor; a novice may underestimate or overshoot the budget by a wide range. Ideally, having some basic space, electrical, mechanical and lighting plans will help a contractor get you a more accurate estimate. This is only the first phase of pricing. You'll want to re-estimate based on detailed, finished plans before signing a contract. Otherwise you run the risk of getting those dreaded changed orders down the road.